YIFY Torrents, also known as YTS, is a boutique torrent site that specializes in high-quality movie releases. All YIFY movies are heavily optimized to be as small as possible, making them popular among people living in rural areas and those with a metered internet connection. But, like most torrent sites, YIFY Torrents tends to go through brief periods of unavailability, which is why you should familiarize yourself with the best YIFY Torrent proxy and mirror sites that are currently out there. The chances are that some of the YIFY Torrents mirror sites listed above won’t work when you try them. If you open a YIFY Torrent mirror and find out it doesn’t work, we recommend you simply try the next one or try again later. Apart from YIFY Torrents, there are many other movie-oriented torrent sites with very similar content. 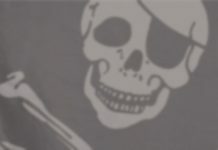 If there’s one torrent site that needs no introduction, it’s The Pirate Bay. Apart from YIFY movies, The Pirate Bay has everything from games to music to TV shows. This YIFY Torrents alternative specializes in movies and TV shows, offering only verified torrents from trusted uploaders. If you’re a TV show fanatic, EZTV is the right YIFY Torrents alternative for you. Arguably the best place for anime lovers, Nyaa offers a massive selection of Japanese anime, manga, games, movies, and other content. Most torrents are in Japanese, but English torrents are not hard to come by as well. This general torrent site has become popular for its clean interface and fresh movies. You don’t need to speak Russian to fall in love with ruTracker. This enormous semi-public torrent site has everything you could ask for and possibly even things you didn’t know existed. Unlike the above-mentioned torrent sites, Torrentz2 is a metasearch engine for torrents. You can use it to search multiple torrent sites at once to find the best torrent available. What’s the Difference Between Proxy and Mirror Sites? There’s a big difference between YIFY Torrents proxy and mirror sites. While both proxy and mirror sites allow you to circumvent internet censorship and access YIFY Torrents even if your ISP blocks access to it, only YIFY Torrent mirror sites can help you download YIFY movies when the official website of YIFY Torrents is down. Essentially, a mirror site is a copy of another site hosted on a different server. Mirror sites are often created by the owners of the original site, but some mirror sites are run by volunteers. As we’ve already mentioned, the main advantage of mirror sites is that you can access them even if the original site goes down. One disadvantage of mirror sites is the fact that they are typically behind the original site. Let’s say a new torrent appears on YIFY Torrents at 2 PM on Friday. The chances are that most YIFY Torrent mirror sites won’t list the torrent until Saturday, and some may take even longer. On the other hand, a proxy site is a site that acts as an intermediary for requests from a client seeking resources from a different site. Perhaps you had a crush in middle-school but were too afraid to ask the person yourself if they liked you back. So, you send out your friend to ask on your behalf. That’s sort of the gist of how a proxy server works. Because of how they work, proxies are great for accessing blocked content on the internet and avoiding online censorship. YIFY is an alias of a New Zealand-based pirate who began uploading torrents to various public torrent sites in 2010. 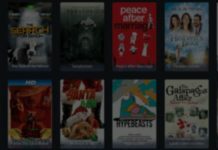 In an interview with TorrentFreak, YIFY stated that his goal was to bring Hollywood films to the masses at file sizes that were accessible even to users with bandwidth and hard drive limitations. YTS isn’t the first movie pirate on a mission to bring people high-quality movies that don’t take days to download. Before YIFY entered the scene, aXXo dominated the charts. Specializing in leaking DVD-quality rips of new movies, aXXo uploaded high-quality movies that were under 700 MB large, so they could be burned to a compact disc with minimal effort. The era of DVD-quality rips started to end with the growing popularity of x264, a software library and application for encoding video streams. X264 allowed YIFY to release movies in excellent 720p, 1080p, and 3D quality at unprecedented file sizes. Apart from excellent video quality, YIFY movies also stand out with the quality of their presentation. “I personally think that many people are following and downloading YIFY encodes due to the consistency we offer in our releasing. Everything from the consistent film cover art, to the information layout, and ultimately to the file-size of our encodes,” said YIFY. YIFY’s reign ended rather abruptly in 2015, after the MPAA shut down YIFY’s official website and signed an unprecedented settlement with the uploader, most likely involving a damages payment as well as some type of information sharing. As is often the case, it didn’t take long for impostors to fill in the gap left by the original site. Today, there are many clones of the original YTS site on the internet, including the wildly popular YTS.AM site. The original YIFY Torrents site, called YTS, was a place where torrent users from around the world could safely download the latest movies. That site is no longer accessible, and many different YTS clones have stepped in to replace it. While most file-sharing enthusiasts agree that no YTS clone will ever be as safe and trustworthy as the original site, there are certainly some YTS clones that are just as safe as most popular torrent sites. How to Access YIFY Torrents Anonymously? 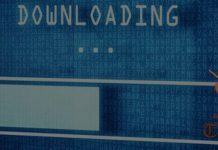 While there’s nothing inherently illegal about accessing YIFY Torrents, there also many reasons why you might not want your internet service provider, employer, or government to know that you’ve visited the site. We’ve already introduced YIFY Torrents proxies as a simple way how to access the site anonymously, but you have other options as well. How to Access YIFY Torrents Using a VPN Service? VPN stands for a virtual private network, and it’s essentially a private tunnel that can provide you with a safe and encrypted connection to any website on the internet. The simplest way how to set up this tunnel is a VPN service such as NordVPN. You simply create a user account with ExpressVPN, download their client to your personal computer or mobile device, and sign in. The client will automatically configure everything for you, allowing you to enjoy the internet without the possibility of anyone observing your online activity. Tor is a free software application that can hide your IP address and significantly increase your online privacy. Tor relies on a massive network consisting of thousands of relays, each of which conceals your real location and identity. Tor is completely free, open source, and takes just a minute to set up, but the speed of the Tor network is fairly limited. While you can download torrents through the Tor network. YIFY Torrents has become synonymous with high-quality movie releases that don’t take days to download. While the person who started the site is no longer active on the file-sharing scene, many others have decided to take his place and create clones of the original YIFY Torrents site. In this article, we’ve listed a number of such clones, as well as other torrent sites where you can find YIFY movies.